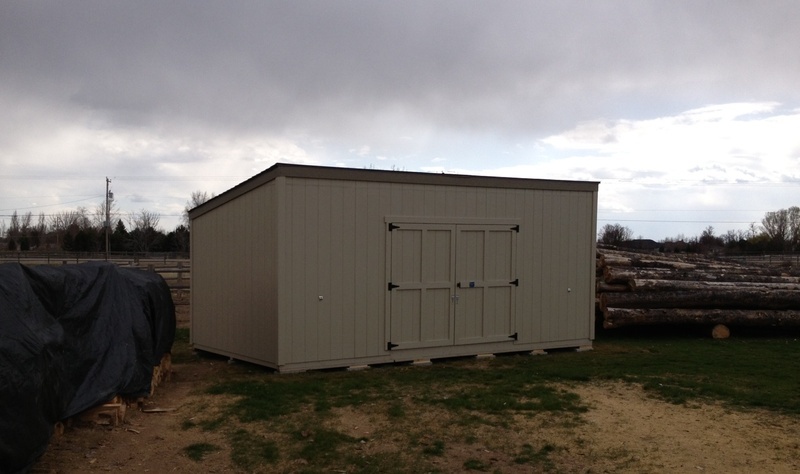 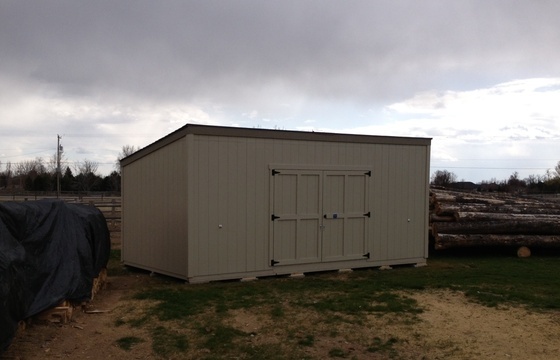 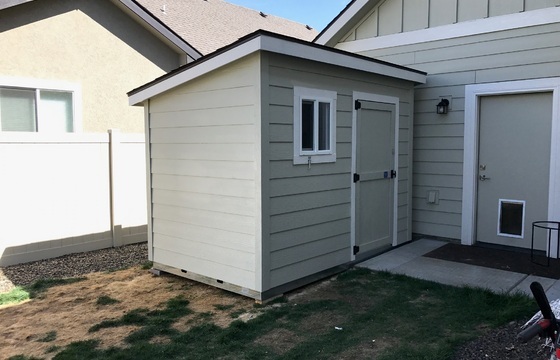 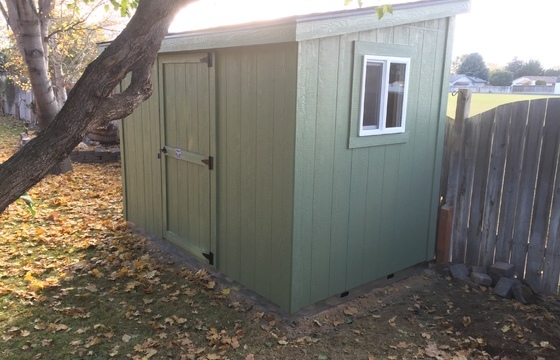 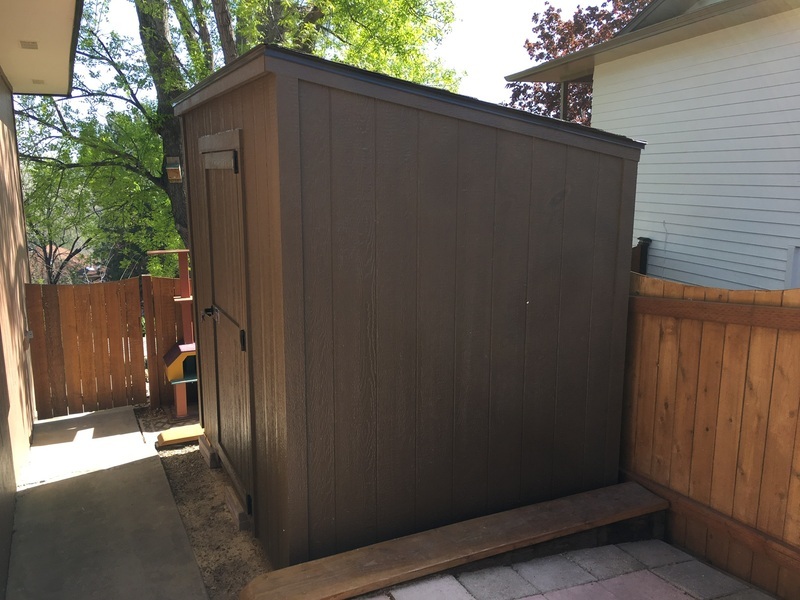 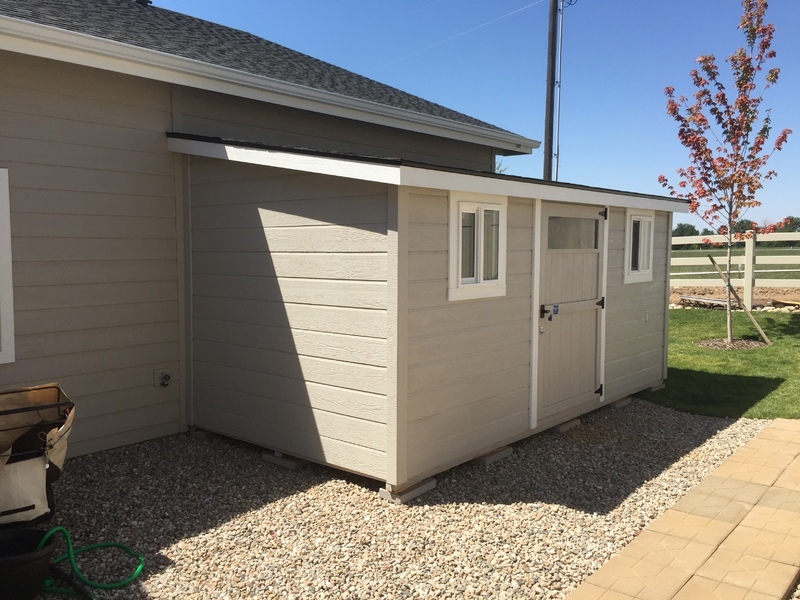 Stor-Mor's Lean-To or "Sidekick" storage shed is built with a single sloped roof, making it ideal for limited storage requirements. 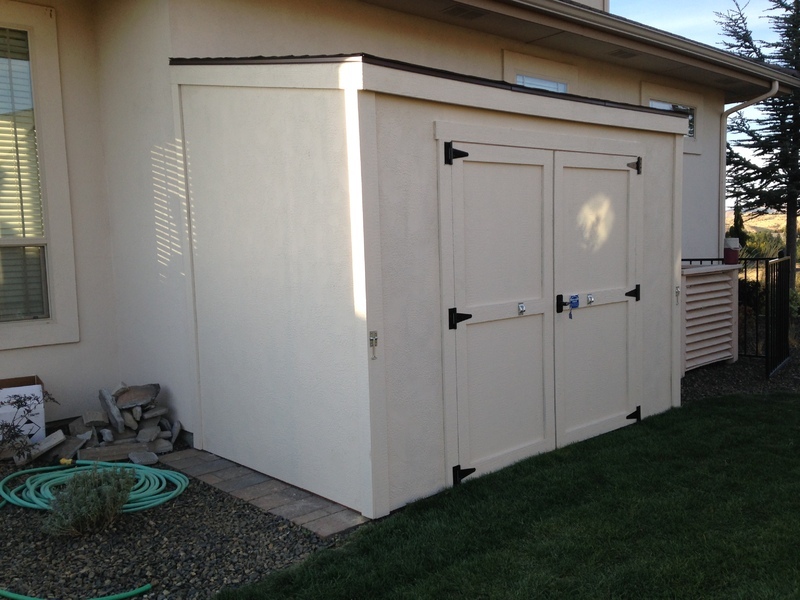 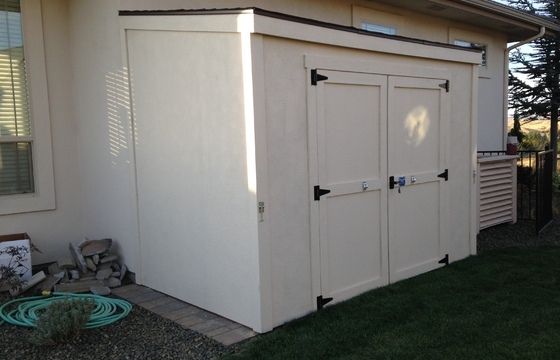 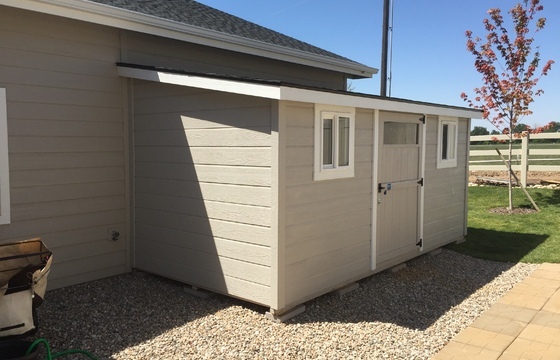 Featuring all four walls, this shed is designed to be built up against a house or fence. 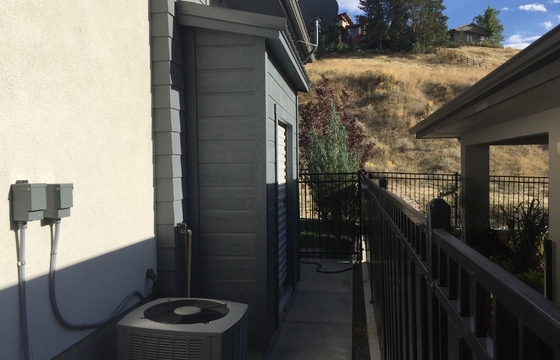 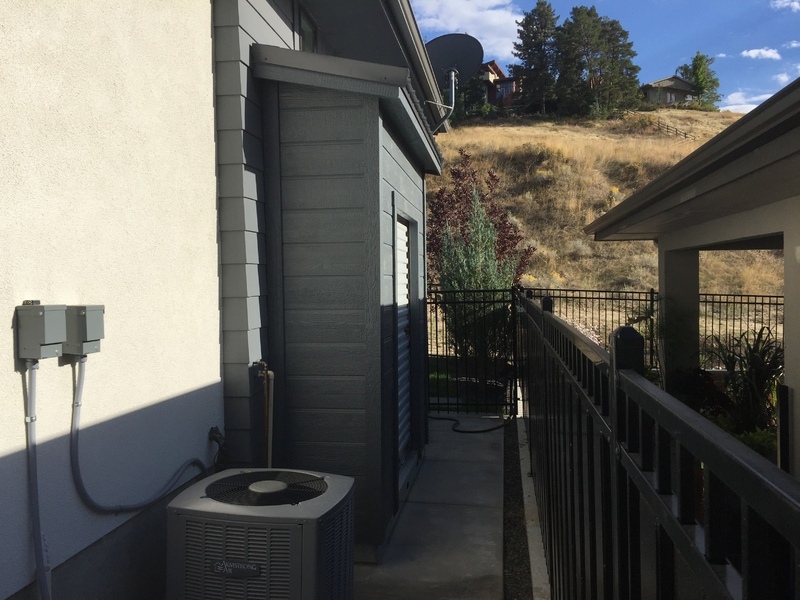 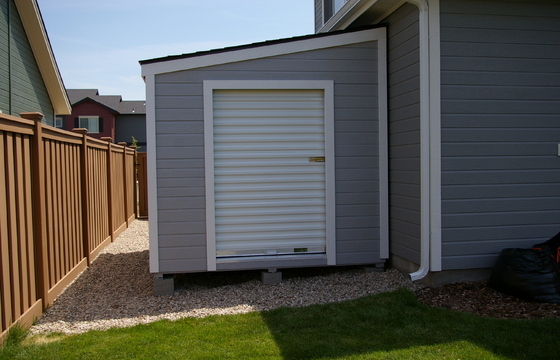 This model is also great for any yard with limited space. 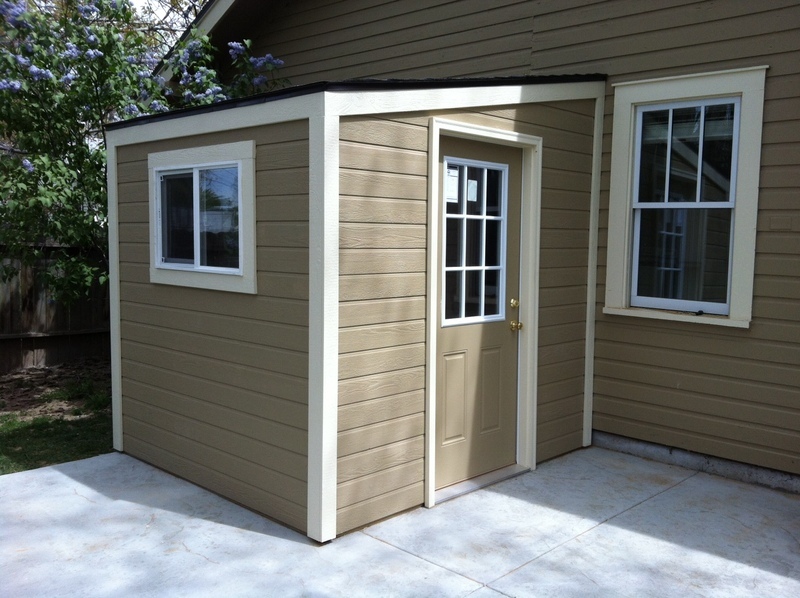 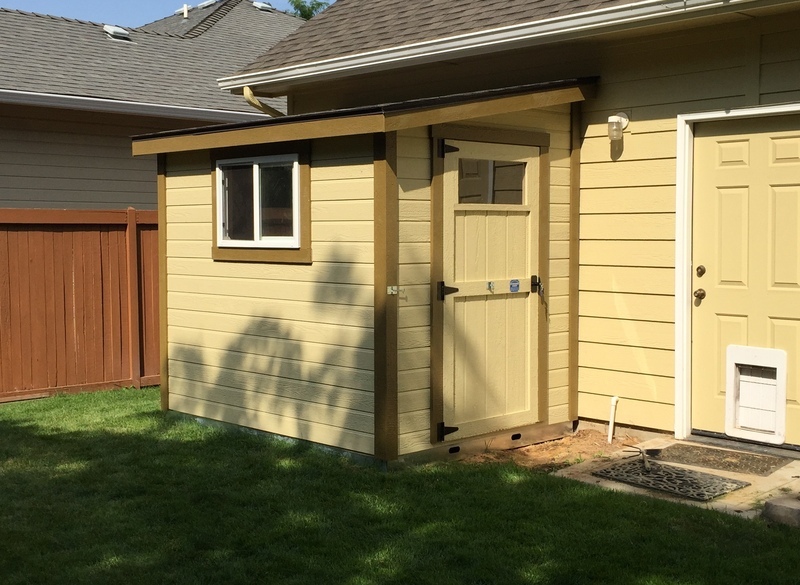 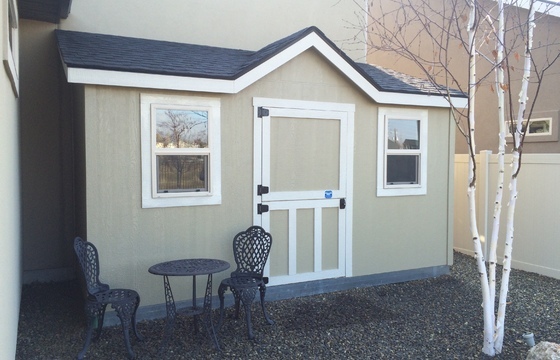 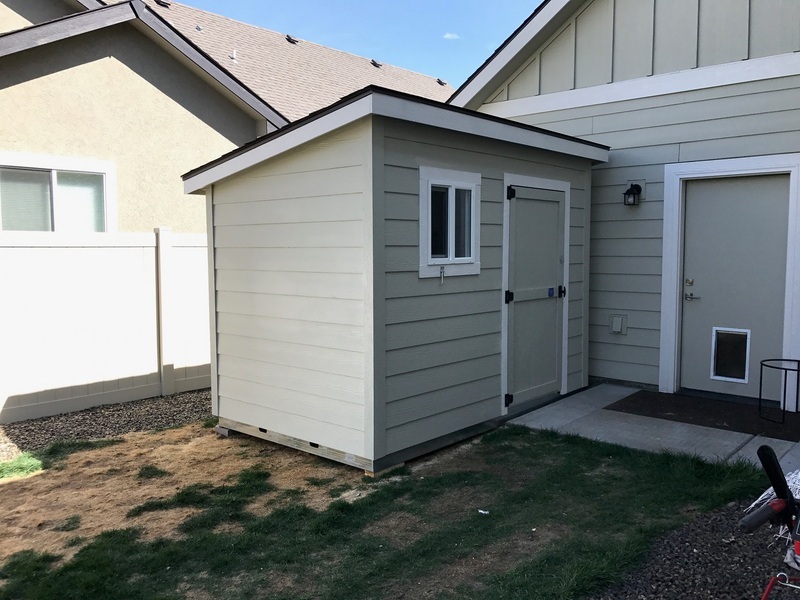 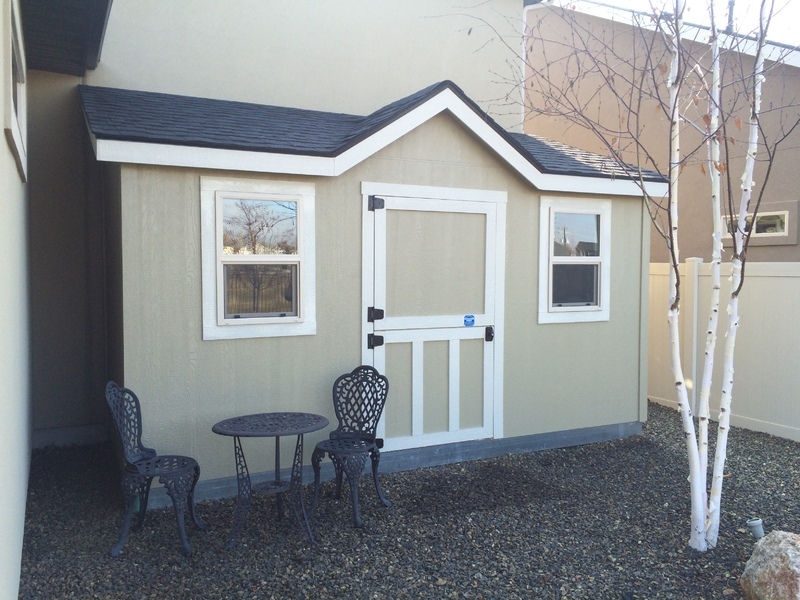 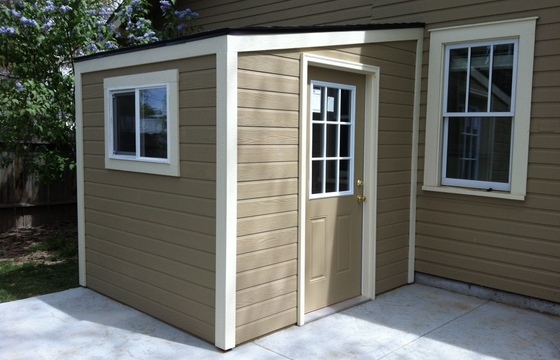 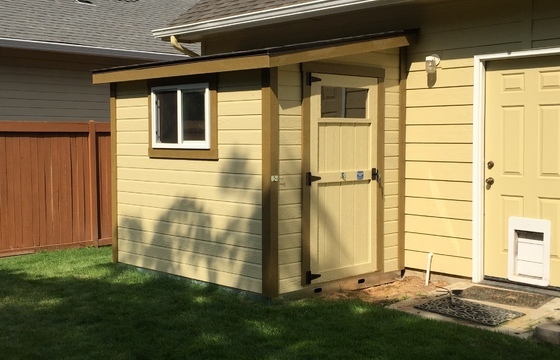 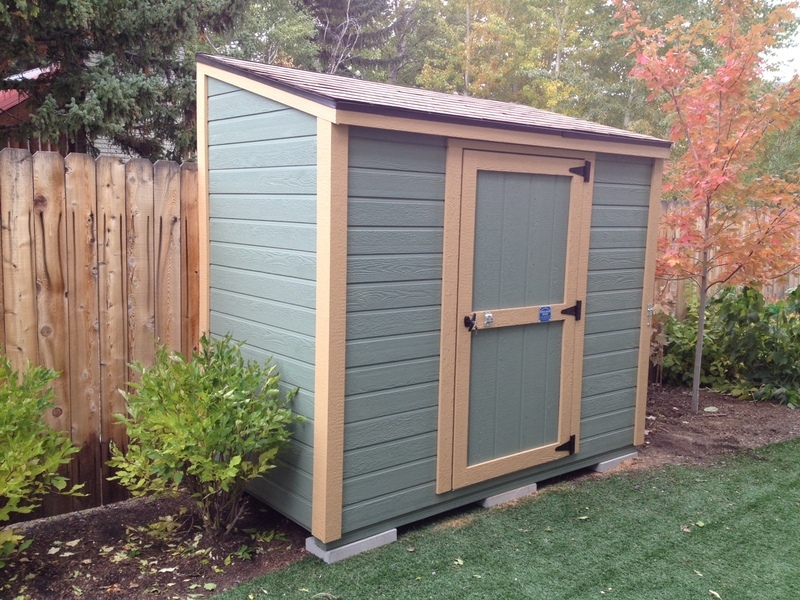 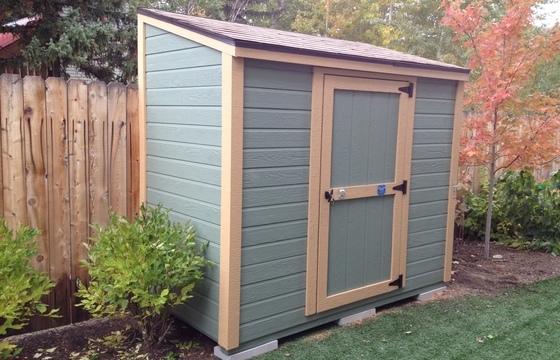 Once installed, your Lean-To style shed can look like an extension of your home. 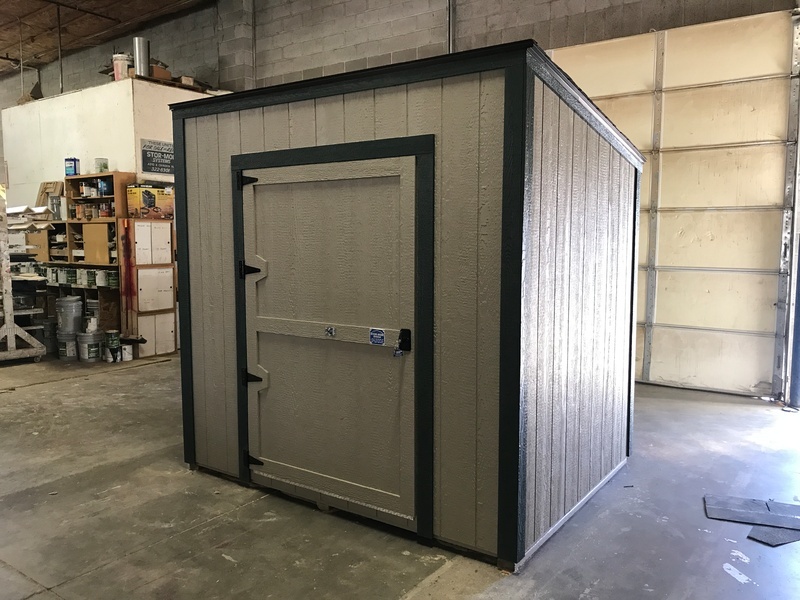 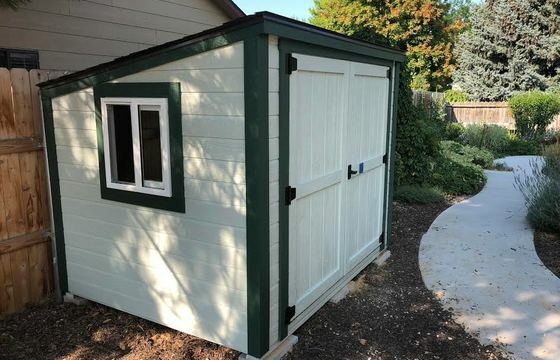 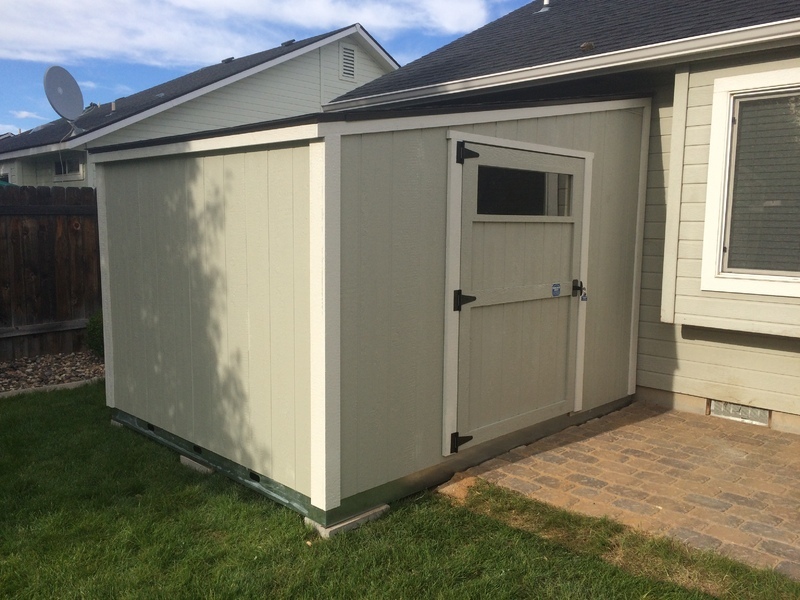 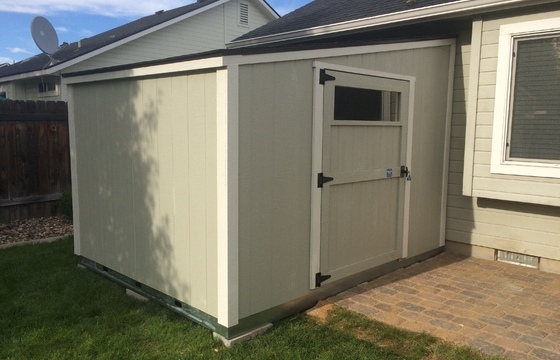 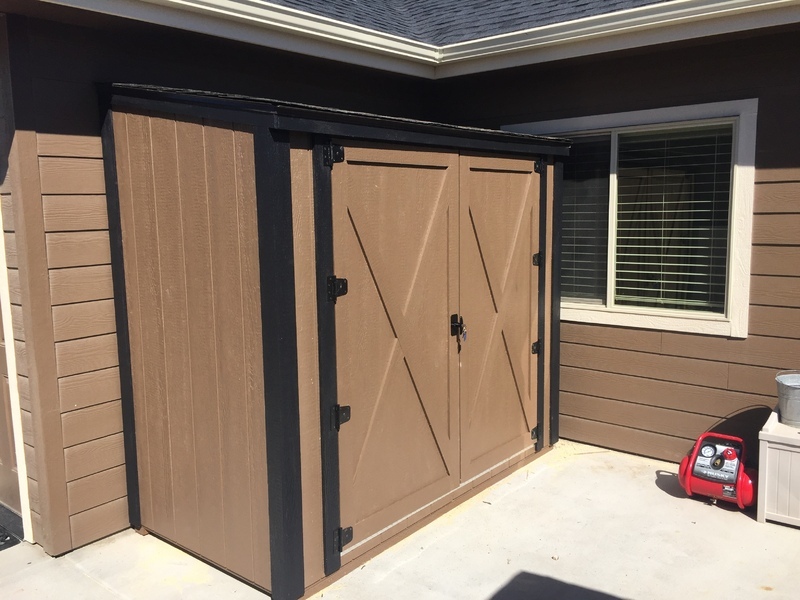 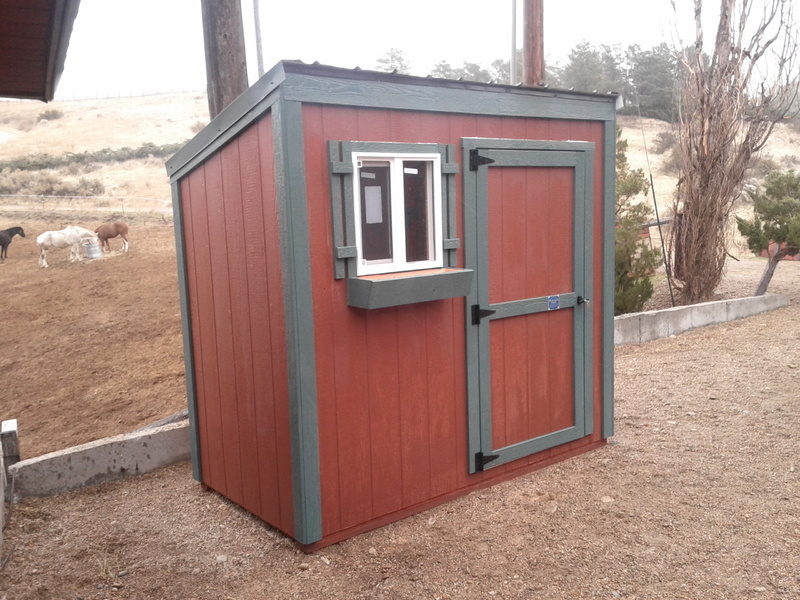 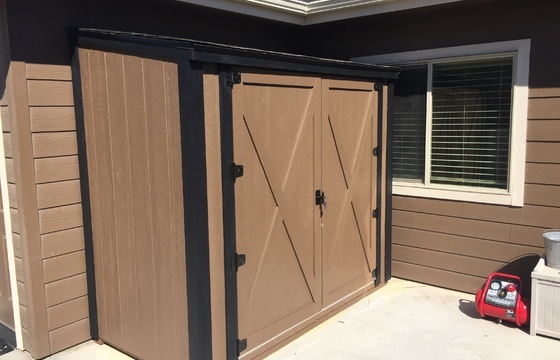 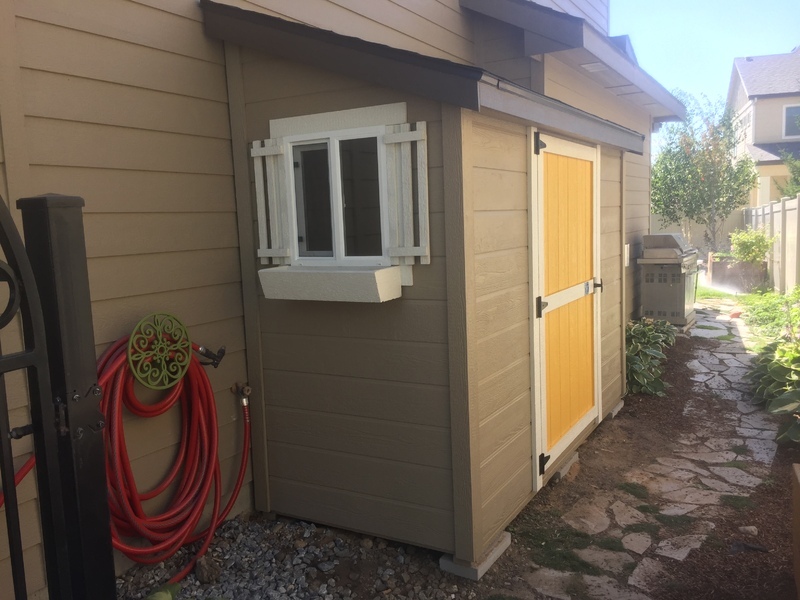 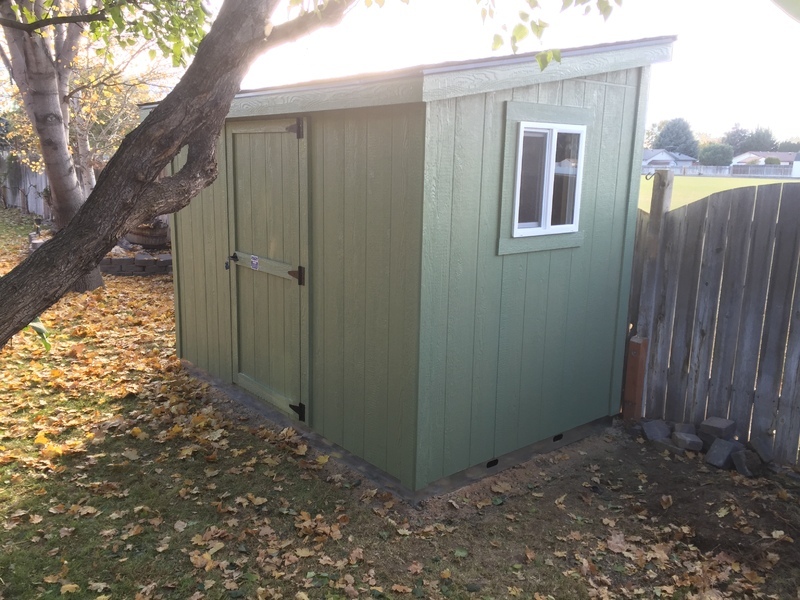 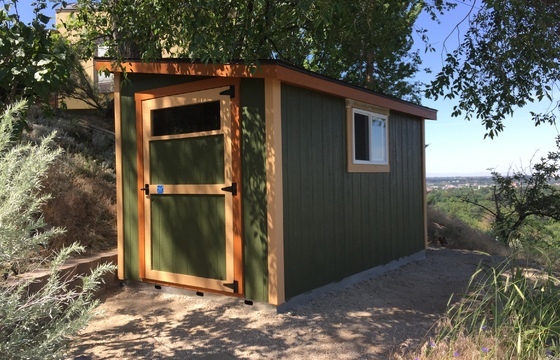 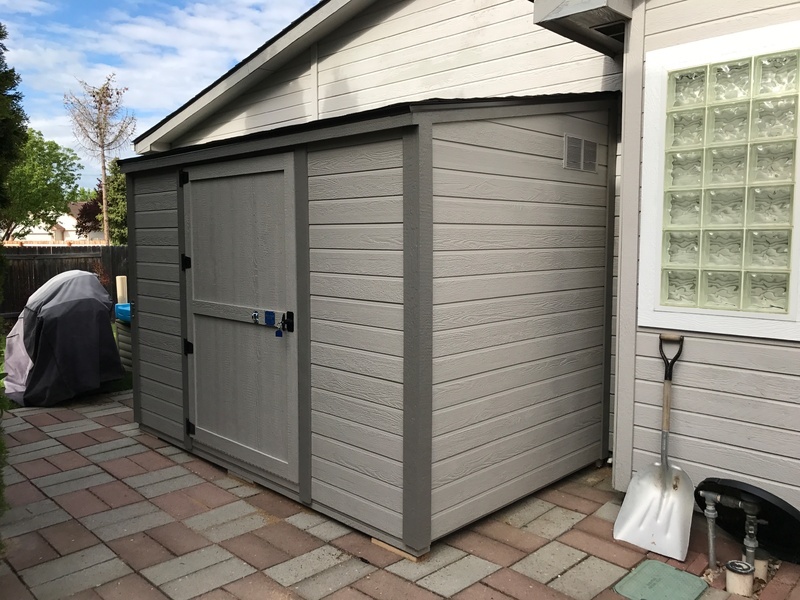 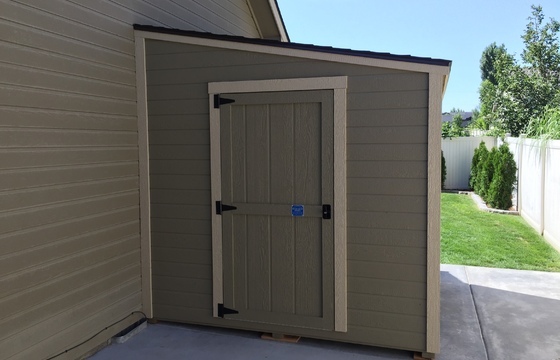 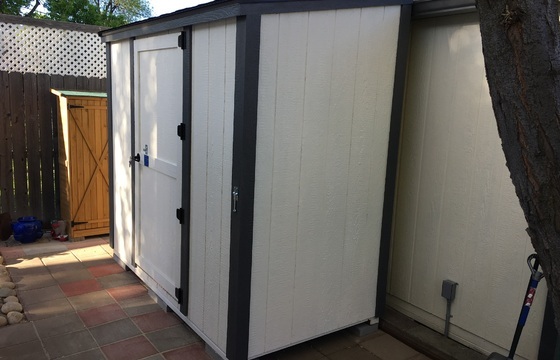 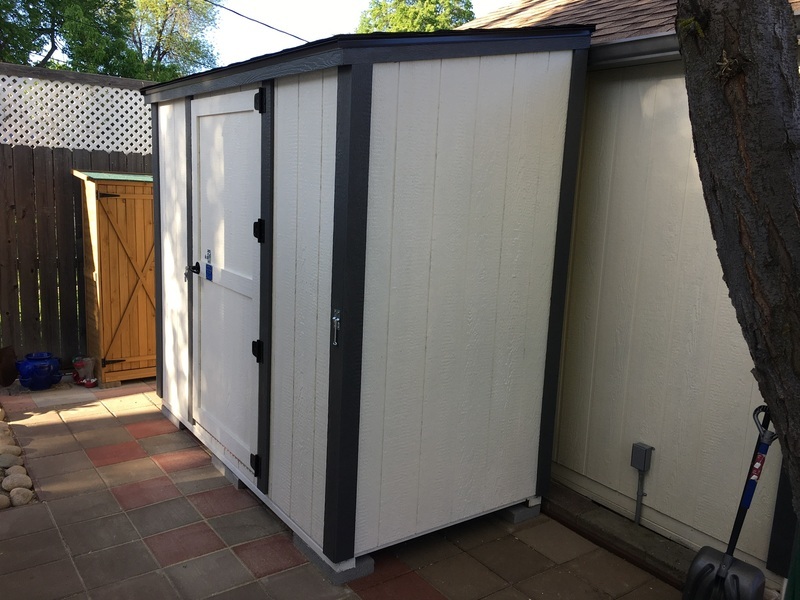 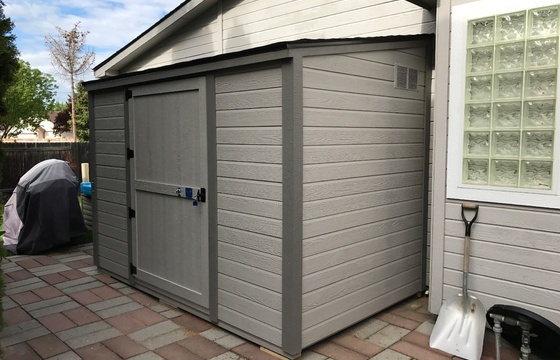 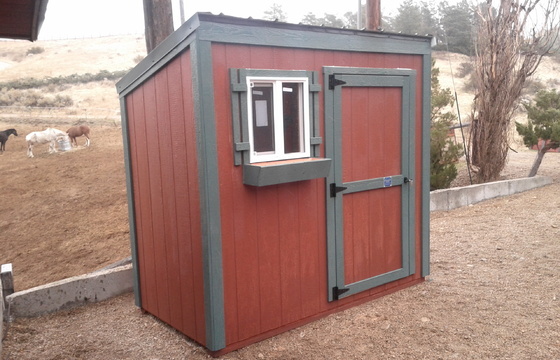 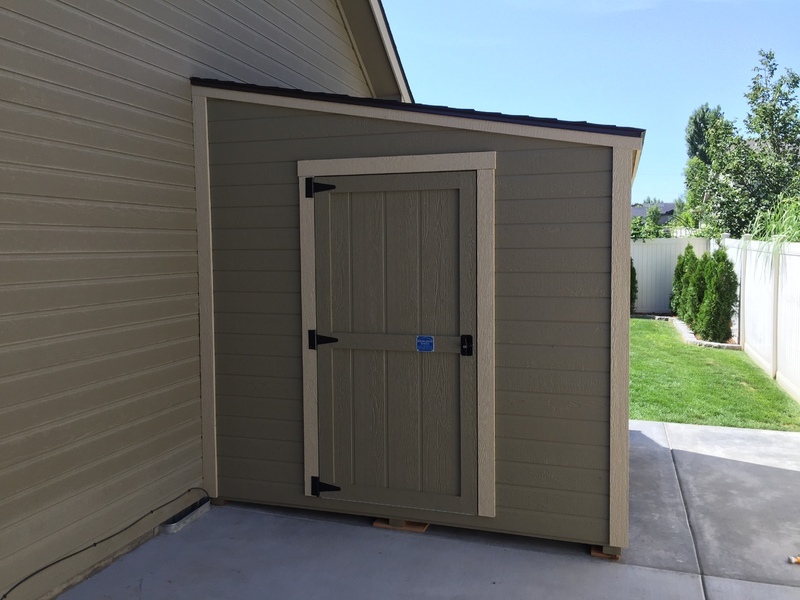 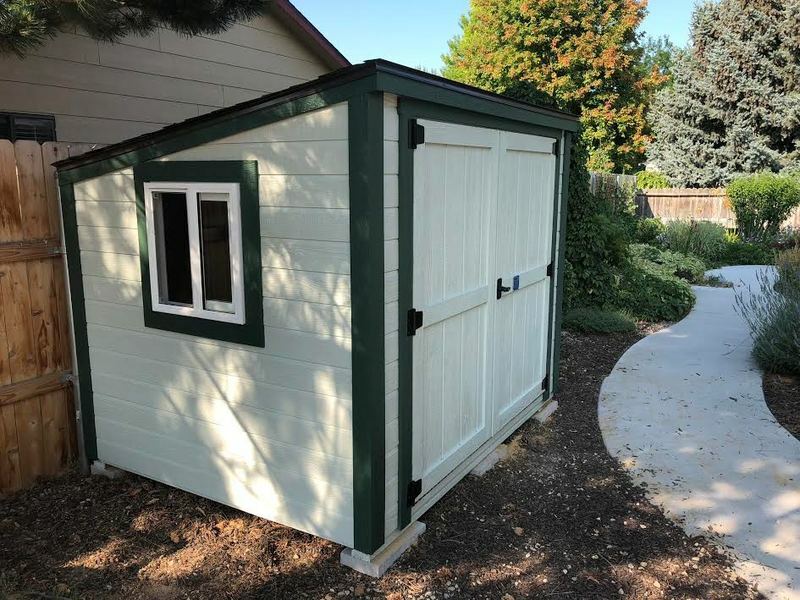 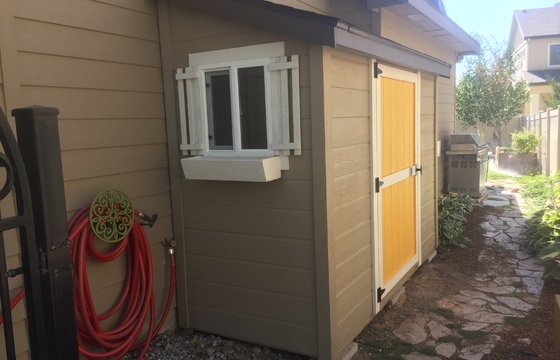 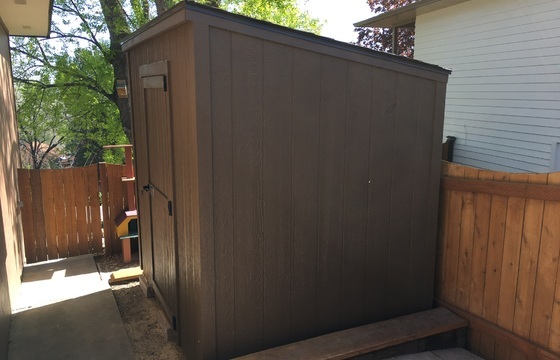 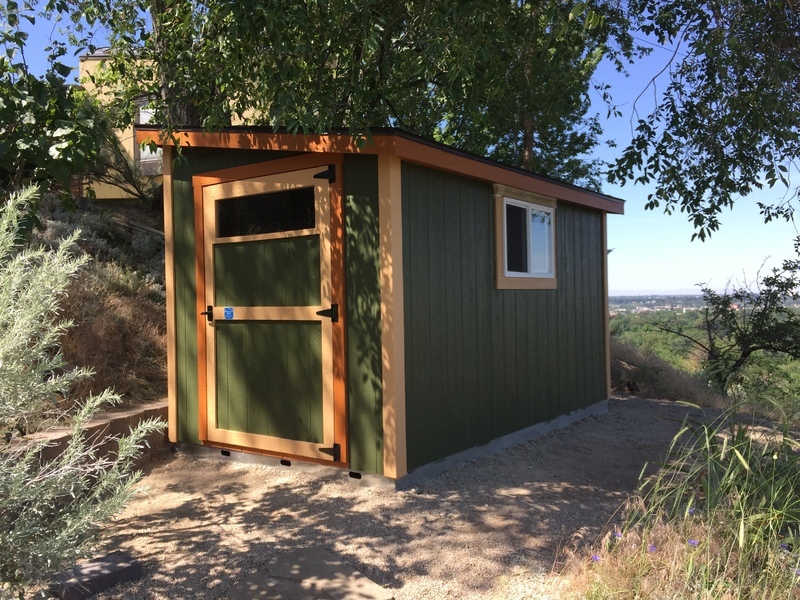 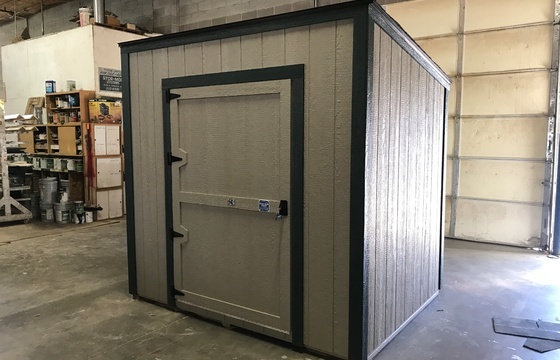 Click on our options & accessories page to view the available accessories you can use to customize your Lean-to or Sidekick style Stor-Mor shed.